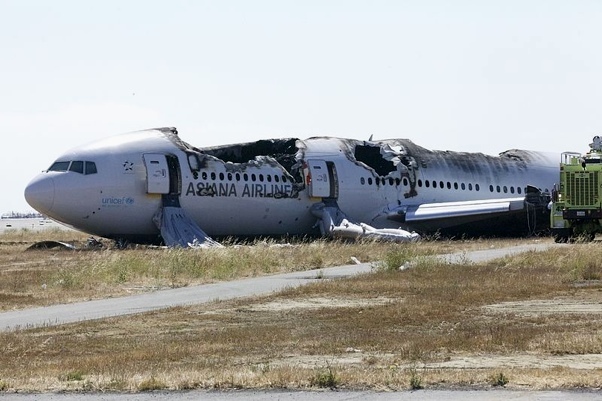 The National Transportation Safety Board (NTSB) on Friday morning made several announcements in regards to the July crash of Asiana Flight 214. The first announcement made was that there will be an investigative hearing held on December 10th and 11th, 2013. This hearing will focus on three main topics: pilot awareness in highly automated aircraft, emergency response, and cabin safety. These three topics represent the major focuses of the investigation thus far. 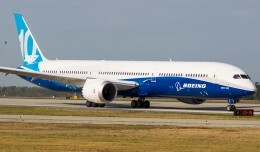 The response of the pilots to the Boeing 777’s auto-throttle system disengaging while on final approach has been in the spotlight as a potential cause of the crash. The investigation has also focused on the death of a passenger after being struck by an airport firefighting vehicle as well as the varying injuries suffered by passengers and the time taken to order and complete the evacuation of the aircraft. Alongside the announcement of the hearing, the NTSB offered what they have termed a “factual update” on the progress of the crash investigation. As part of this update, it was noted that a team of investigators recently travelled to South Korea as part of the investigation. This team included Lead Investigator Bill English, along with investigators from the Maintenance and Operations & Human Performance Groups. While there, they examined documentation on training, policies, and the maintenance of the airplane and evacuation slides. They also conducted interviews with airline management and training personnel. Finally, they observed Asiana’s procedures, both in a simulator and onboard an actual flight. Back in the United States, the NTSB’s Survival Factors Group has begun an extensive study of the slide/raft systems used onboard the Boeing 777. This work has included visiting the slide manufacturer in New Jersey. 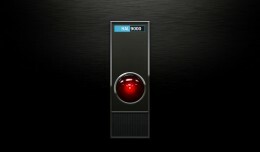 The Group is currently planning a series of tests involving the evacuation systems. 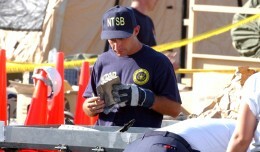 Further, the Group has again examined the wreckage of the aircraft involved. They have been looking at the structural damage that occurred to the aircraft, as well as how the fire that consumed a large part of the airframe progressed. 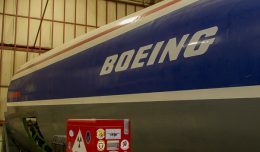 Investigators from the NTSB, along with other parties to the investigation including Asiana Airlines and Boeing, also recently met in Seattle. The purpose of this meeting was to compare the actions of the stricken aircraft, as recorded by the flight data recorder (FDR), to what would be expected in normal operation for a 777. The Systems and Vehicle Performance Groups are currently in the final stages of preparation for tests and simulations centered around the auto-throttle system’s disconnection while on final approach. The NTSB has been careful to note that what they have presented thus far are simply the facts which have been uncovered by the investigation. A final report on the causes, along with recommendations on improvements, is due sometime in the second half of 2014.